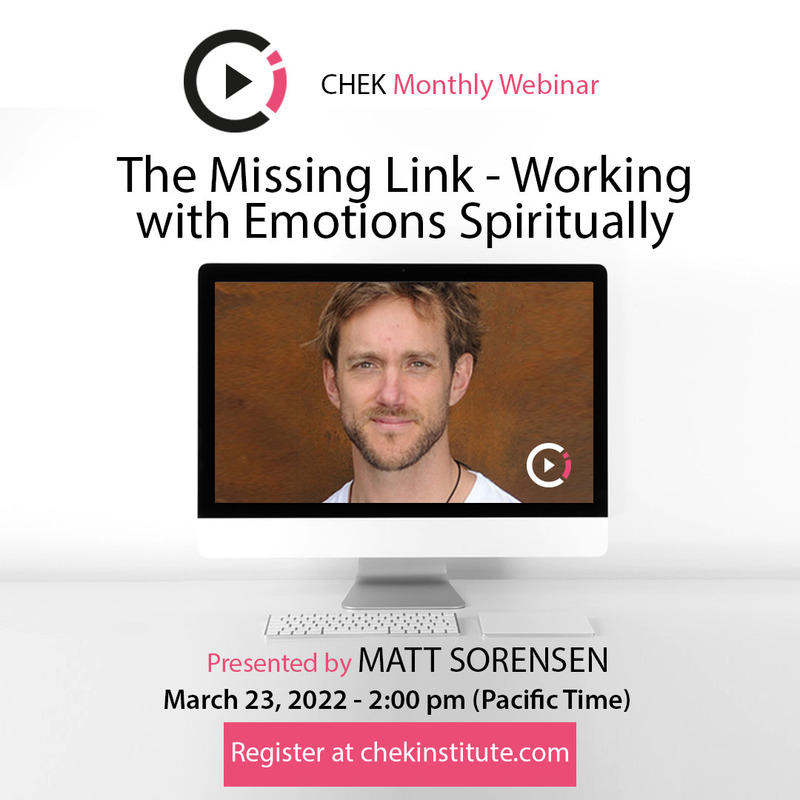 If you didn’t already know, I moved my video blog schedule to Tuesday for the next couple of weeks to accommodate my Living 4D with Paul Chek podcasts and my five-part Evolve podcast series. I really hope you’re enjoying listening to these podcasts every bit as much as I like creating them for you! 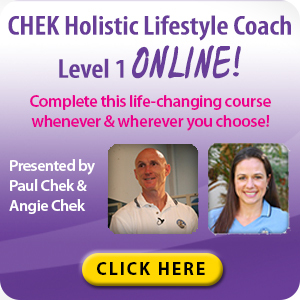 This week, I’ll show you how to do the Swiss ball reverse crunch, an exercise that targets the lower abdominals. For a reference point, the lower abdominals are the muscles from your belly button to your pubic symphysis, the joint located between the left and right pubic bones near the midline of the body, just above the external genitalia. The abdominal muscles have complex innervation. Everything above the umbilicus or belly button all the way to your suprasternal notch and your xiphoid process are segmentally innervated. For each section of the spine that the muscles cross, there’s a nerve that comes out to feed them, about nine on each side. The muscles below the belly button are innervated by the iliohypogastric and ilioinguinal nerves from the T12-L1 motor segments. So they are actually on separate neurological control systems, because the muscles of the lower abdominal region are oriented towards controlling pelvic tilt, or what is called Sacral Base Inclination. This is important for controlling the angle of the sacrum during movements such as bending, walking and kicking. So as you can see. the abdominal muscles have a great deal of nerve supply, which means there’s a lot of brain power aimed at controlling your core functions. What a lot of people don’t know: During the stages of embryology where the body grows and develops, the fetus is growing the buds of the muscles, the myoblasts that grow out into muscles. The lumbar musculature that originated at the low back actually migrates down into the pelvic floor area and becomes your pelvic floor muscle, then continues to grow around and up to the level of the umbilicus where it meets the developing upper abdominal muscles. In other words, what we think of as lower abdominal muscles, embryologically, are really low back muscles, which is the key reason why so many people who have low back problems also end up with pelvic floor and lower abdominal dysfunctions. The Swiss ball reverse crunch is a good way to train your lower abdominal muscles. 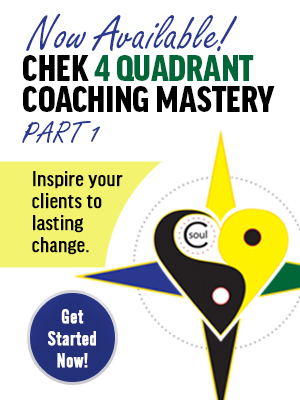 My video shows you how to move from an easier to harder way of performing it. All you need is a good healthy burst-resistant Swiss ball — one that has not been kicked around the gym or damaged in any other way — and good solid anchor point like a squat rack or cable machine. Position yourself supine on top of the ball and lock both your hands onto that anchor point comfortably. Remember the rule that the more downward the angle of your torso, the greater the load there is against your lower abdominals. Flex your hips upward until you feel your pelvis starting to roll or your low back starting to flatten. That’s the starting position. You don’t want to flatten your back yet, just bend your hips until they reach their end range of motion. From there, you’ll use your lower abdominals to perform a posterior pelvic tilt. Curl upward until the abdominals are fully contracted. Be careful not to pull your head up too much, but keep it in neutral alignment with your spine as much you can. Then, let your pelvis roll back to the starting position. Don’t disengage the hips, but you do want to let your back arch to achieve full range of motion. 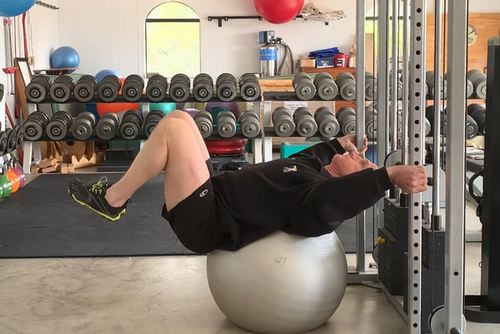 This is one of the benefits of using the Swiss ball for this exercise. When your sacrum touches the ball back at the starting point, keep the hips engaged but allow the back to arch around the ball and your pelvis to tip anteriorly. If your pelvis was a big bowl it would be tipping downward and pouring water over your belt buckle. 1. Keep your tongue on the roof of your mouth behind your front teeth to increase the support and stability of your anterior neck. 2. Choose a load that allows you to perform 8-12 reps, unless you’re doing neuromuscular reconditioning which means you’ll be doing 20-30 reps per set. 3. Never perform this kind of stabilizer training at the beginning of a conditioning session. If you fatigue your stabilizers then start doing lunges, squats and lifting kettlebells, you have a much greater chance of being injured. That’s a problem I’ve worked on with professional athletes A LOT! 4. If you want to make this exercise a bit harder, you can extend the legs out at the end of each repetition to increase the load on the lower abdominals. Or, you can decrease how much support you’re using by holding just one pole, rather than two. Also, you can switch to one hand and alternate both hands with each rep which adds a bit more coordination to it. 5. If you want to make this exercise a little easier, try moving back on top of the ball and starting from a horizontal, or even a declining position. This will allow gravity to assist you with the movement. Finish this exercise or others ones like it by laying over the ball, giving your abs a good stretch and breathing diaphragmatically to fill up your belly. If you don’t do that, the microtrauma will heal, especially at night, and the muscle will get shorter with each workout. 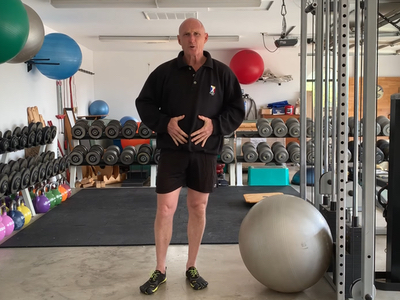 The next thing you know, you can be pulled into a posterior pelvic tilt position and tension will run throughout the entire abdominal wall and it will pull your chest down and your head forward.